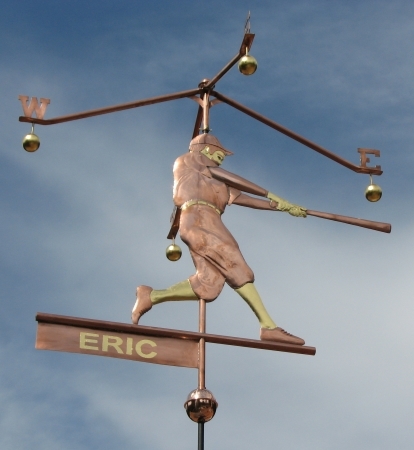 Our Casey at the Bat Weather Vane is shown here in copper with optional gold leaf on his face, hands, belt and socks. 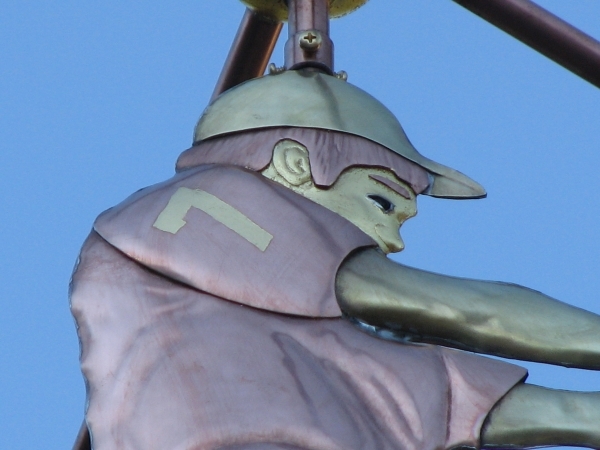 We’ve also had commissions with gilding on the baseballs suspended from the directional letters. 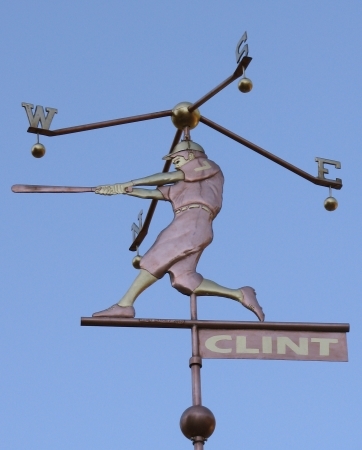 He is depicted traditionally in old fashioned baseball attire, with broad shoulders, powerful chest and a jaunty handlebar mustache. 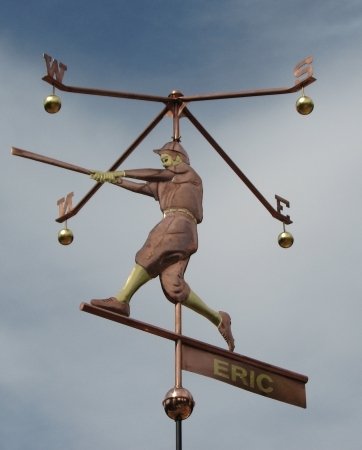 Unique to West Coast Weather Vanes, this sculpture piece features the directionals (North, South, East, West) above the sculpture rather than below. 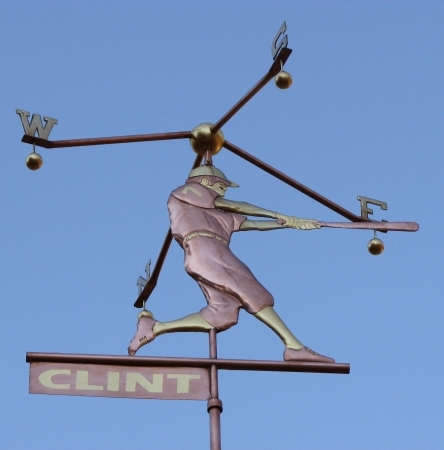 Baseballs are suspended from each cardinal point and this reverse of position makes a lively scene as Casey turns in the wind, his bat just missing each baseball! 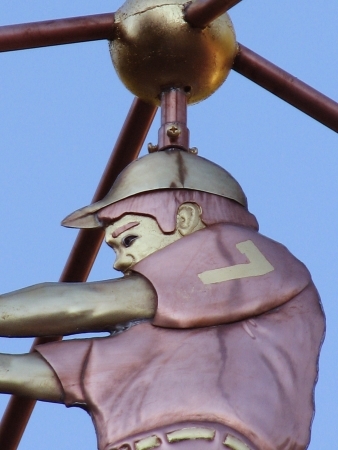 As with our Baseball Pitcher Weather Vane, customers choose the color of Casey’s eyes. 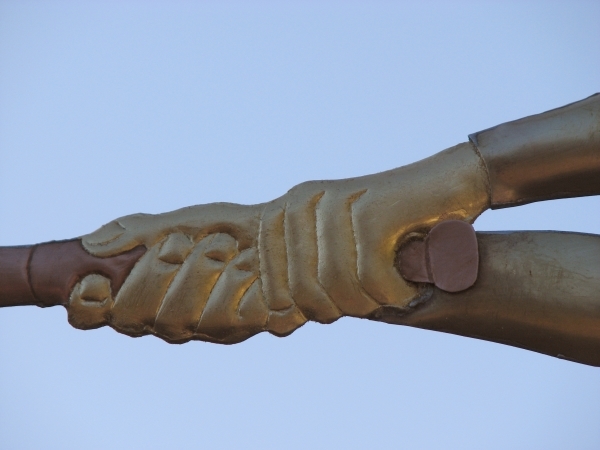 We use translucent colored glass jewels to give his features a more animated appearance. 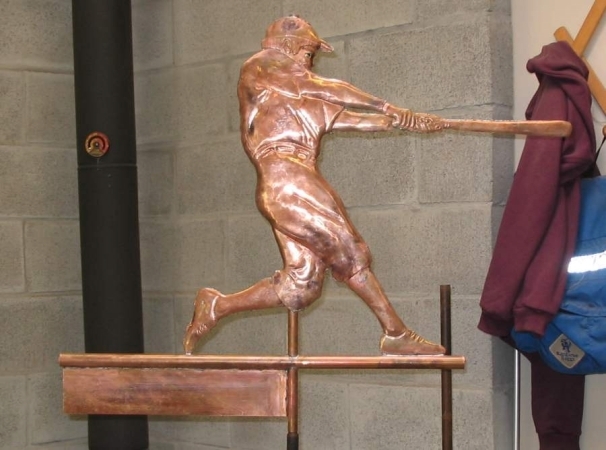 “Casey at the Bat” is a baseball poem written in 1888 by Ernest Thayer. 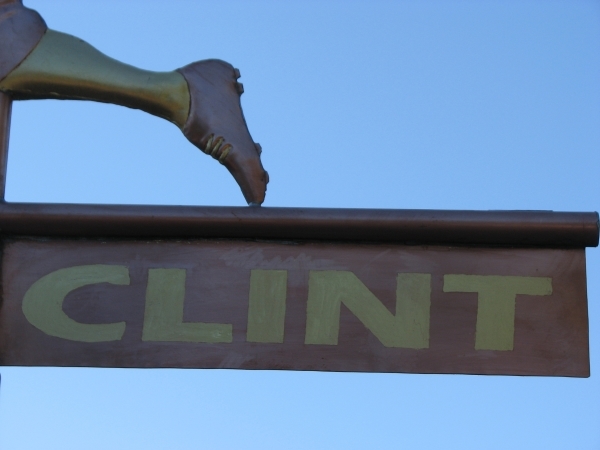 The poem is about a baseball team from the fictional town of Mudville and focuses on the last inning of the game. 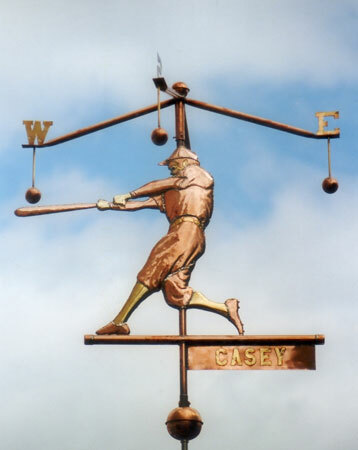 Mighty Casey, the team’s best player, is scheduled to be the fifth batter of the inning. The first two batters fail to get on base. The next two batters successfully get on base. It is then Mighty Casey’s turn to step up to bat. Casey is so sure of his abilities that he does not even bother to swing at the first two pitches, both strikes. On the last pitch, the presumptuous Casey strikes out, ending the game and sending home the team’s disappointed fans. This poem is considered a classic retelling of the mythic fallen hero, whose pride and overconfidence leads to his downfall.